Well we were certainly not disappointed in spotting wildlife, beautiful vistas and even an occasional beetle on this trip to Pt. Reyes, California. 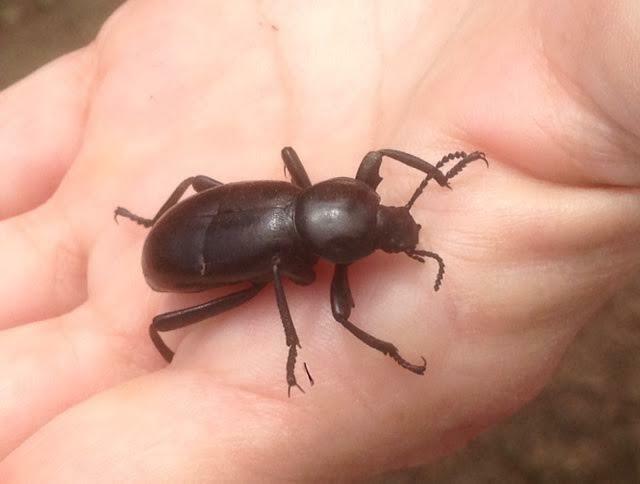 On our hikes we came across California poppies, lupins and thistles and even I had to hold a Darkling beetle. As you will see in weeks to come, while this specific beetle is not the one Martin has used in the sculptures he is currently working on, like all beetles he finds them riveting and I must admit I have caught his enthusiasm. We discovered that we could walk 9.4 miles if the views kept us motivated, and they surely did. 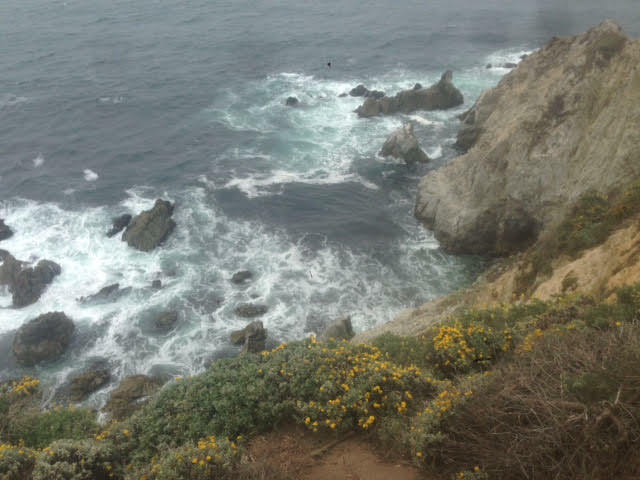 We started out prepared with a huge sandwich big enough for 2 from Perry’s Deli in Inverness and began an amazingly scenic and surprisingly easy walk along the Tomales Point Trail. 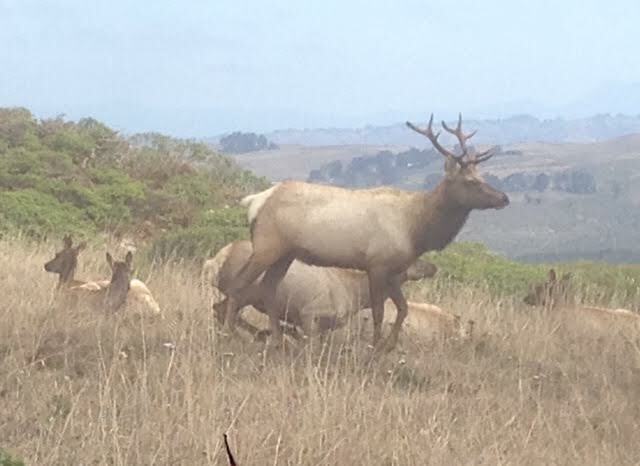 This is the trail that takes you through Tule Elk Preserve and follows the ridge line of a peninsula bordered on the west side by the Pacific Ocean and on the east by the calmer waters of Tomales Bay. On our visit here last summer we saw a herd of elk when we took the Muddy Hollow Trail but this time we were able to get up close and almost personal with a very tolerant herd who viewed us with cool indifference. We also came across this one horned juvenile elk and just had to take his photo. Apparently elk and deer go through one pair of juvenile horns before they get their “permanent” set and when they are shedding the first set it would appear that they don’t necessarily drop off at the same time, hence the one horned phenomena. 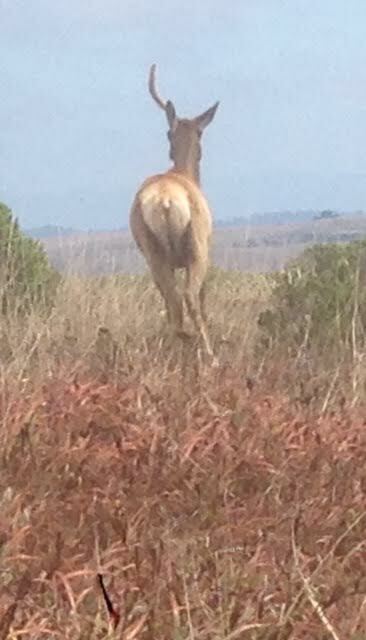 Neither this buck nor his companions seemed to find his lopsided quality odd or humorous, but we did. 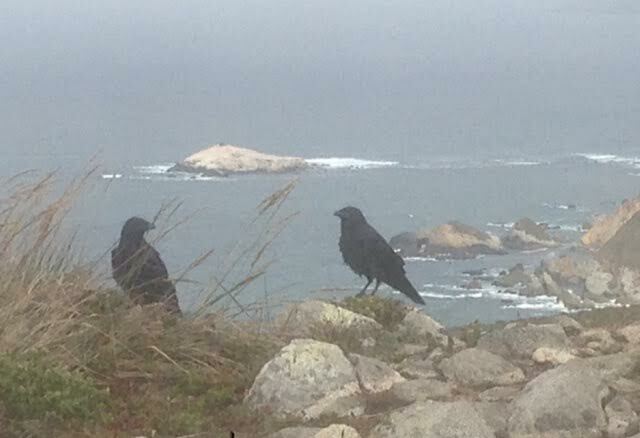 Apart from the amazing Elk we also saw a Northern Harrier Hawk catch a very fat rat and 2 windswept ravens enjoying the views; all this in a setting that,thankfully, had very few other humans. We returned with our friends to the tranquility of Osprey Peak Bed and Breakfast where our hosts David and Nancy had left the necessaries for us to brew some hot tea. The bed and breakfast is situated in a dense wooded area just outside Inverness and spoils us with vistas of thick foliage on the edge of a ravine. To view our collection of architectural hardware, as well as Martin’s sculptures, please visit our site at http://www.martinpierce.com.